Apparently flummoxed by their inability to bully grocery giant Kroger into passing a corporate policies more restrictive than local, state, and federal gun laws, gun prohibitionist group Moms Demand Action has apparently shifted focus to a smaller regional target, Harris Teeter. The less-than-a-handful of activists—described as MDA Advocacy Lead Christy Clark and “several” others—received a cool response. Harris Teeter said it doesn’t plan to change its policies, which permit open-carry in states where it’s legal. 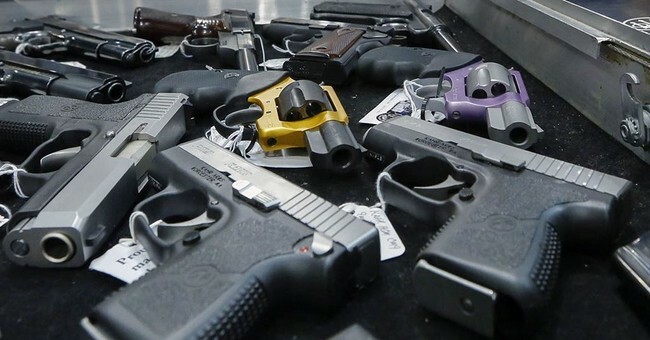 In North Carolina, gun owners can openly carry firearms in most public places. A permit is required to carry a concealed gun. Jones said the company’s policy was the same before its acquisition by Kroger. The grocery conglomerate also has a policy of allowing openly carried guns in places where it is legal. Harris Teeter operates about 200 stores, most of them in North Carolina. It appears that the three dour Moms Demand “protesters”—probably all Bloomberg-paid employees–weren’t very impressive to Harris Teeter, and open carry is generally a non-issue in North Carolina anyway. Most gun owners in NC conceal carry by choice, and I’ve seen open carriers precisely twice despite a lifetime spent mostly in the state. The protest seems to be little more than an attempt by Moms Demand to remain in the news, and you can rest assured that the only reason that the Charlotte Observer was there to cover the “event” was that Moms Demand themselves called them. Hardly anyone else in the parking lot even noticed they were there.